HubSpot is the Swiss Army Knife for modern marketers. With dozens of tools, you have the power to generate more and better leads as well as close bigger and more deals. The opportunity is massive, but so is the platform. Bringing on an agency growth partner to manage your HubSpot portal just might be the move you need to make to grow and scale with true marketing automation and a repeatable inbound marketing strategy and system. 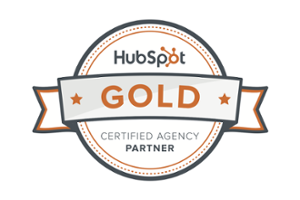 THE NUTS AND BOLTS OF MANAGING A HUBSPOT ACCOUNT INCLUDE. Optimize your sales processes with playbooks, sequences, reports, and front-line tools so good that your sales team will actually use them. We optimize and test pipelines and sales collateral in the HubSpot CRM, to streamline and automate your sales processes and increase your sales teams use of the CRM. Goodness knows that's half the battle! The core of the HubSpot system, and the most feature rich. There is a new tool, that you paid good money for, lurking around every corner. Our approach is to audit what you’re doing well and where you could better leverage HubSpot, mix in your business goals, and come up with a strategy to generate more and better leads. The one piece of the flywheel that marketers think of last is delighting existing customers, and we know we do this at our peril. We know that selling to our existing customers is 600% to 700% less expensive than prospecting a new customer. We know it’s a huge source of revenue. Few marketers have the experience to delight existing customers and grow the bottom line, but with our expertise and HubSpot’s tools, you can. The three phrases of managing your HubSpot tools include setup and implementation, training, and management. There's more than one way to skin a cat. You might be setup already, your team's up to snuff, and so you're looking for strategic support and the extra manpower to execute. Or, you're at the beginning stages and want to ensure that you're building the foundation for growth on the HubSpot platform. Either way (or somewhere in between for that matter) our knowledge of HubSpot is deep and wide. We have the custom solution to meet your needs. Get off the agency evaluation hamster wheel of death.